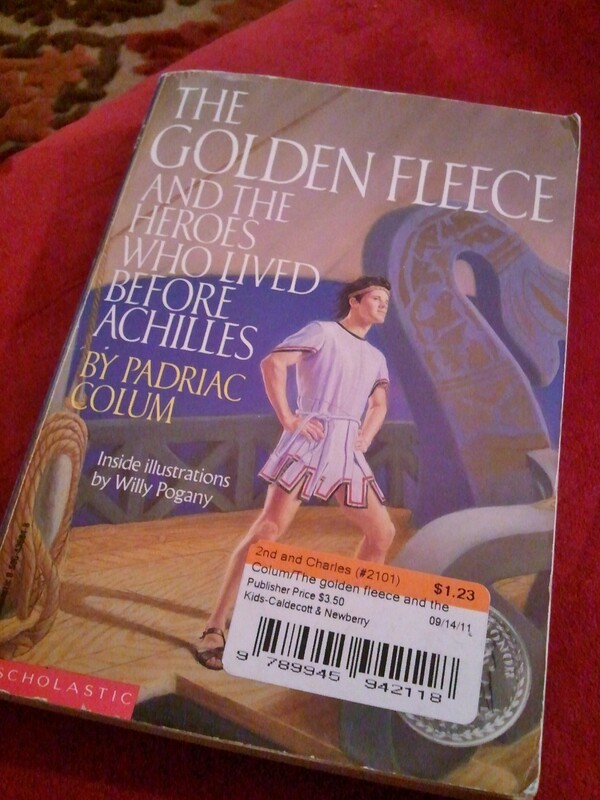 I wanted to like The Golden Fleece and the Heroes Who Lived Before Achilles. I really, really did. It had everything a good story should have–adventuring men, strong women, cool monsters, surprise and suspense and even a little bit of moral didacticism. Or maybe, it almost had these things. Padriac Colum’s The Golden Fleece is a retelling of the mythology surrounding Jason and the Argonauts in their quest for the Golden Fleece, a task that would reclaim Jason’s father’s kindgom from a cowardly, illegitimate ruler. You remember that from high school, right? Because I didn’t. I remember very little from Edith Hamilton’s Mythology, which, I’m willing to bet, is most people’s experience with Greek mythology. The Golden Fleece isn’t as comprehensive as Mythology, or many other compendiums I’ve seen, and I really appreciate that about the book. Colum seems (to me, anyway, but like I said, I remember very little Greek mythology) to be taking several disparate mythologies and weaving them together in a cohesive narrative. Sure, the novel’s about Jason and his quest, but because he has all these other beefy dudes with him, we get to hear about their feats, and some of these beefy dudes love to tell stories, so we get to hear all about other quests and feats and failures, too. And there are a lot of cool stories here. Orpheus reclaims his love from Hades. Heracles (Hercules) does tons of well-toned badassery. 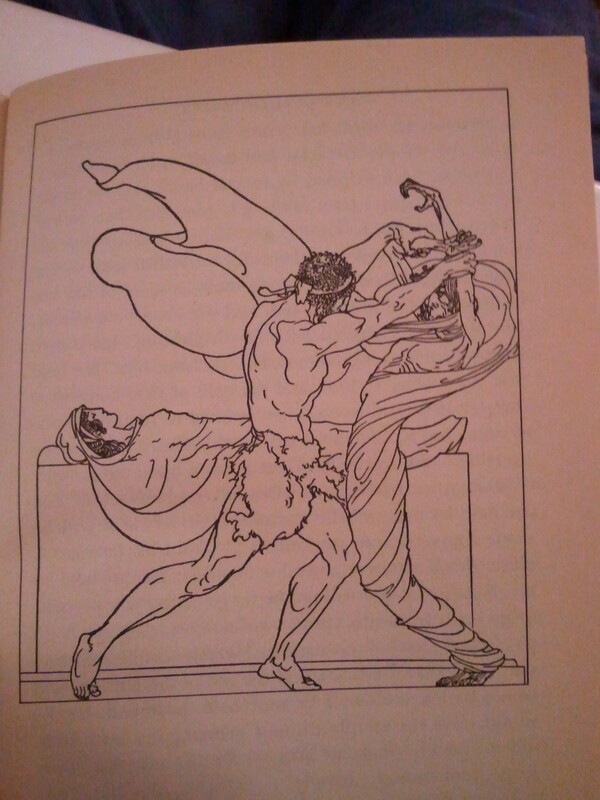 Atalanta beats man after man in a footrace, and is defeated only when someone cheats. 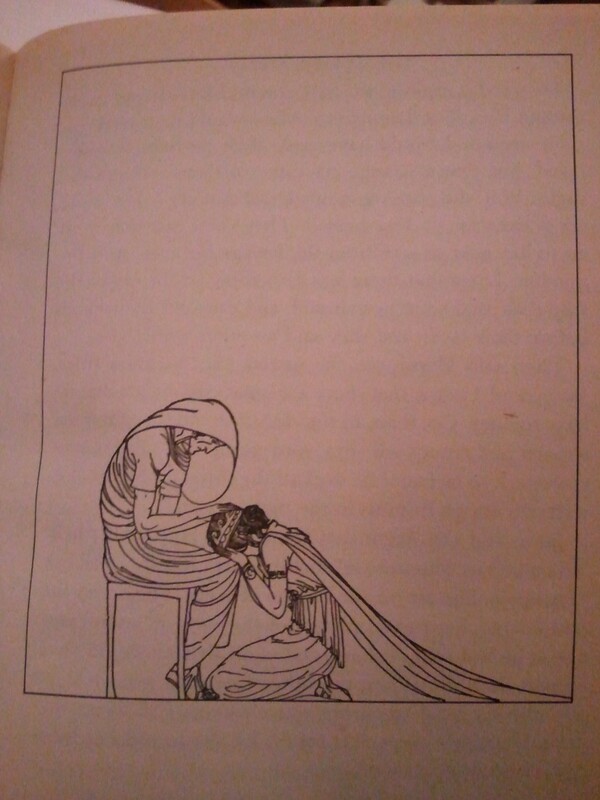 And yes, Jason gets the fleece, but his dad dies before he can reclaim the throne, Jason gets exiled, he marries a woman who wasn’t Medea (who helped him win the fleece in the first place), but eventually gets to come back as king. What? There’s a lot of that “and then-but then-and then again” happening. It’s easy to lose track of who is who and who is doing what. And though so much cool is happening in the narrative, it somehow manages to fall flat in too many places. So you may have a hero conquering a beast of unfathomable terror, but the writing is so passive, the tone so flat that you forget why you should care. At times, there are simply too many narratives. Perhaps that’s a result of my being a sloppy, inattentive reader, but there were several occasions in which I’d finish reading a story, only to remember that the story I’d just read wasn’t actually happening within the timeline of the Argonaut’s narrative. And I wish I could have loved the characters more. I’m not sure if it was just a lack of character development, or a further result of a completely neutral tone, but I found it incredibly difficult to engage with these characters. And I wanted to, especially the women of this novel. They weren’t, by any means, flat characters or objects. Women definitely had a place in this story–they fought right alongside the men, and many of them earned their own stories-within-the-story. But ultimately, the characters fell as flat as the story did. One thing I really liked about this book, and this is going to be really silly, were the illustrations. They were simple line drawings that somehow managed to echo both a vision of ancient Greece and the 1920s/art deco style. The simplicity of them allows you to fill in the details present in your own imagination. So in the end, as much as I hate to say it, I was aching to be done with this one. And after two books set entirely in the past, I’m quite looking forward to the present. What’s your experience with Greco-Roman mythology? Who’s your favorite hero? < Previous An Everlasting Story?